The city tour includes stops of approximately 20 minutes each at Golden Gate Bridge, Golden Gate Park, Twin Peaks and, if time permits, Cliff House. You'll also travel across the Golden Gate Bridge and through the coastal mountains to the Bay Area's popular Muir Woods. This national monument is the site of a virgin forest of California Coast redwood trees, among the oldest and tallest on earth. Take the opportunity to roam through an ancient forest of giant redwood trees on your 75-minute visit of Muir Woods. Finally, it's time to take a stroll along the waterfront of quaint Mediterranean-style Sausalito, considered the prettiest village in California. You'll have 30 to 45 minutes to browse, shop and take photos in this picturesque artists' colony nestled on the northern shores of San Francisco Bay. 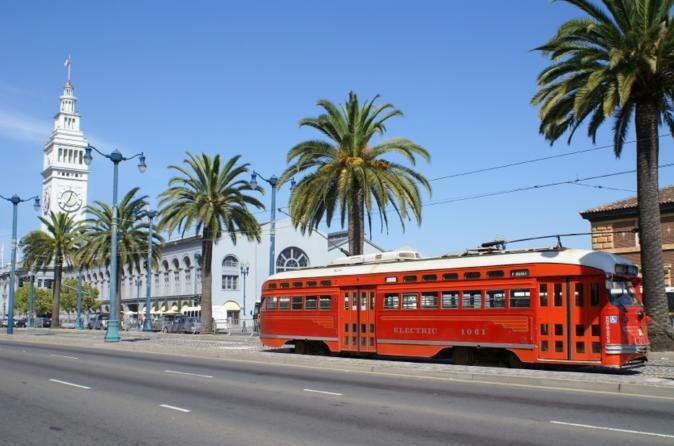 Save up to 17% on two of San Francisco's most popular half-day trips with this combo tour!